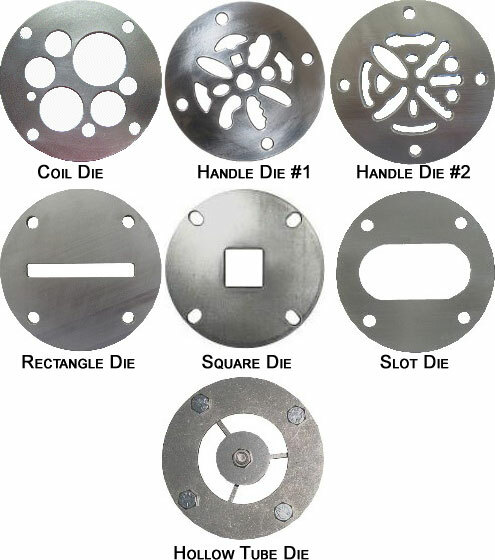 Peter Pugger is pleased to offer extrusion dies that directly mount to the end of your VPM-9, VPM-20, VPM-30, and VPM-60 Vacuum Deairing Power Wedger. Mounting Hardware included. Please specify which model and die when placing an order. 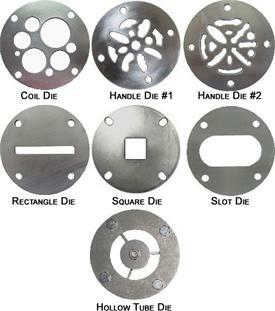 The Hollow Tube Extrusion Kit comes with a set of inner and outer rings for various diameters and wall thickness.